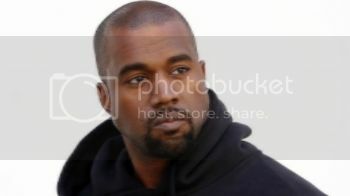 Xtrology » #KANYE WILL HE EVER SHUT UP? #KANYE WILL HE EVER SHUT UP? Are you over Kanye West and his bragging and his inflated ego? I am. Apparently his new album, “The Life of Pablo,” has gotten nine out of ten stars in PITCHFORK. But to see where this is all going, I ran his chart. And the news is not good. Kanye is a Gemini with Jupiter in Gemini. Jupiter conjunct his Sun equals fortunate birth. So he fits right in with the Jupiter-blessed Kardashians. When he married Kim he had a negative Mercury aspect and his mouth was problematic. But now? Not so much. He also has three personal planets in Taurus: Mercury, Venus and Mars. And as if I haven’t said this enough, a Venus/Mars conjunction can play havoc with your sexuality. It’s the push/pull phenomenon. Read your own definition in here. And it lends a very strong money vibe. So it is about the money with Kanye. Cancer rising? A very difficult ascendent remembering that the negative traits of the sign tend to come through here. The one I notice the most, well, two, laziness and covetousness. He doesn’t seem lazy at all, but who knows? The other? I’m feeling that. Currently he has not much going on in his predictive chart. However the future brings predictive Sun (him) sextile (positive) Mercury (his mouth). Predictive Mercury trining Neptune (creativity) and Jupiter (luck). Ah. A positive Jupiter aspect. We’re stuck with a lot more Kanye. And the Kardashians. And Kanye. And the Kardashians. I’m hallucinating. For a private reading, contact melanie@xtrology.com. And please visit Xtrology on Facebook and Twitter. Thanks for reading!